On October 13, 2010, the Environmental Protection Agency issued its long awaited ruling on the amount of ethanol allowed in “gasoline”. Currently, the ethanol limit is 10%, but that limit has been raised to 15%. How did we get here? Well, in March, 2009, ethanol producers due to an oversupply of ethanol asked the EPA to raise the limit to 15%. 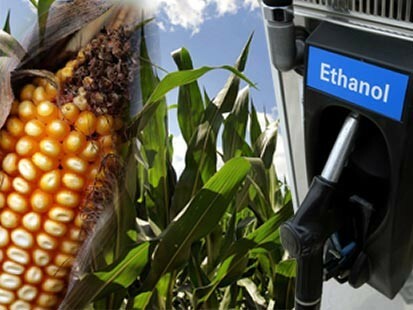 An oversupply of ethanol has prompted a wave of bankruptcies and made the ethanol industry eager to expand its market. Ethanol producers are being squeezed as corn prices stay relatively high and as ethanol prices stay relatively low. Todd Alexander, a partner at Chadbourne & Parke LLP, estimates that some ethanol producers are losing up to 10 cents on every gallon of ethanol. There was massive push back to the request from all automobile manufacturers, including GM, because ethanol dissolves some gaskets and rubbers within the fuel system, and can generally foul up your carburetor. Auto manufacturers, along with the manufacturers of virtually any other internal combustion engine, from boat engines to leaf blowers, were concerned that they would be left holding the bag for expensive repairs should you be lucky enough to own one of these machines that is still under warranty. But, the EPA’s investigation of “big ethanol’s” request was complicated by none other than Congress. Congress required fuel refiners to blend 36 billion gallons of biofuels, mostly ethanol, into auto fuel by 2022. And, the EPA came to the conclusion that there was no way this requirement could be met unless “gasoline” contained 15% ethanol. So, here is where we stand. E15 is now allowed for any automobiles with a model year of 2007 or later. Any vehicles older than that will still have to use E10 due to the potential damage to their fuel systems. And, how this will be implemented is anyone’s guess. Will a new pump suddenly materialize at every gas station pumping only E-15? And, if it did, why would anyone use E-15 given the reduced miles per gallon from E-15 compared to E-10? Here’s one way to look at this last question. A car that gets 25 miles per gallon on gasoline would get 24.1 mpg on E-10, and 23.7 on E-15. I’m still having trouble reconciling the EPA’s rulings about ethanol (and the resulting lowering of mpg), with the Department of Transportation’s CAFE regulations requiring that by 2016 a manufacturer’s combined fleet average for all new cars and trucks must be 35 mpg, a significant increase in mpg from where we are today.